For those of you who know nothing about autism and find "The Good Doctor" unrealistic, I suggest you read the following, written by someone on the autism spectrum. And for those of you who don't know anything about hospitals - you're lucky. Unbelievable that there is an objection that Shaun Murphy would never be hired as a doctor because he lacks empathy. And then people compare it unfavorably to House - excuse me, you thought House had empathy? Give me Dr. Murphy any day. You haven't met many doctors. Lots of them are arrogant egomaniacs with no empathy. How about the one who said about my mother - in front of her - "I smell an old lady with a urinary tract infection?" Or you walk into a doctor's office and he says, "I only have five minutes so make it quick." Sensitive. 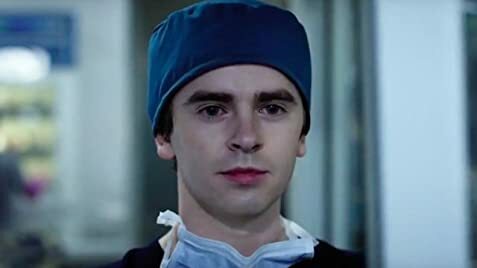 I watch drama shows for good drama, and "The Good Doctor" delivers with excellent stories and excellent acting. Is it House? No, nothing is. Hugh Laurie brilliantly portrayed an edgy, outrageous character. This is about someone on the autism spectrum trying to fit in. Hardly the same dynamic. Is it realistic - does it show what actually goes on in hospitals? No, except for the political stuff. It's a television show, not "Real Life in the ER." I'd rather have a good story that pulls at the heartstrings than sit and watch the Kardashians. One of the St. Bonaventure Hospital exterior shots is the Surrey Civic Center near Vancouver, Canada.